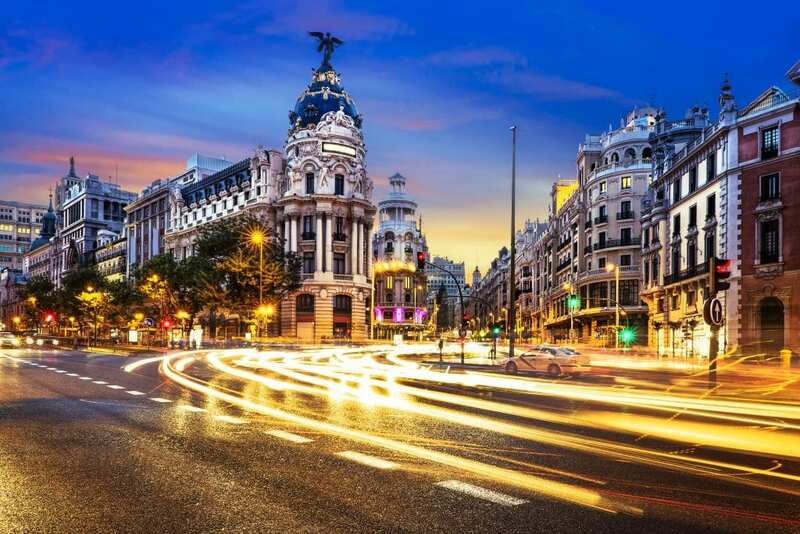 Madrid, despite being the Capital that never sleeps is surprisingly difficult when it comes to finding top eateries on Sundays and even Mondays. Some quite careful planning is required to avoid being disappointed. As our guests naturally need to dine 7 days a week and are always seeking excellence, we have drawn up this list to help you make the most of your Madrid gastronomic experience. Selecting some of our favorite haunts that are open for Sunday lunch, Sunday Dinner and Monday Lunch and /or Dinner so you will not be caught out when you are next visiting Madrid. Don’t forget to reserve in advance though to avoid disappointment. If you are interested in visiting Madrid, please check out our Luxury Food and Wine Tours of Spain that we offer. 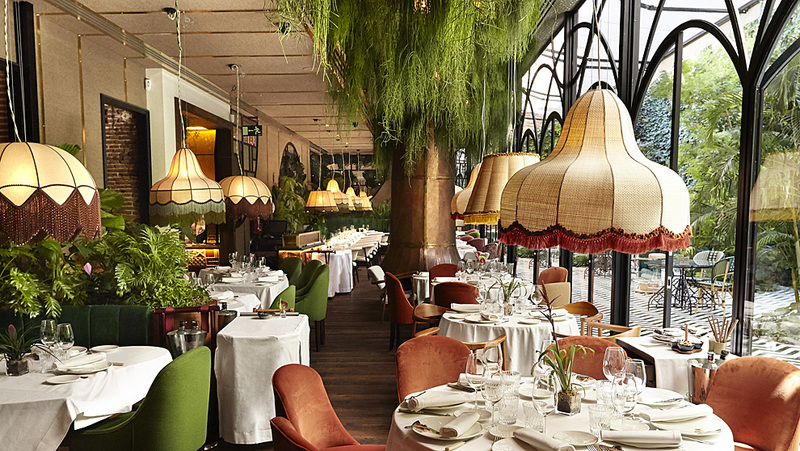 One of the latest places to be seen in the Spanish capital, and amazingly open 7 days a week for lunch and dinner. The magic of southern Spain is transported to this restaurant. The striking, light design inspired by the entrance gateway to the Malaga Fair provides the backdrop for the more informal cuisine of award-winning chef Dani Garcia. A huge sculpture of a bluefin tuna dominates the dining room and is one of Dani Garcia’s favorite ingredients, that’s when it’s in season of course because the flavor and the best seasonal products are key here. 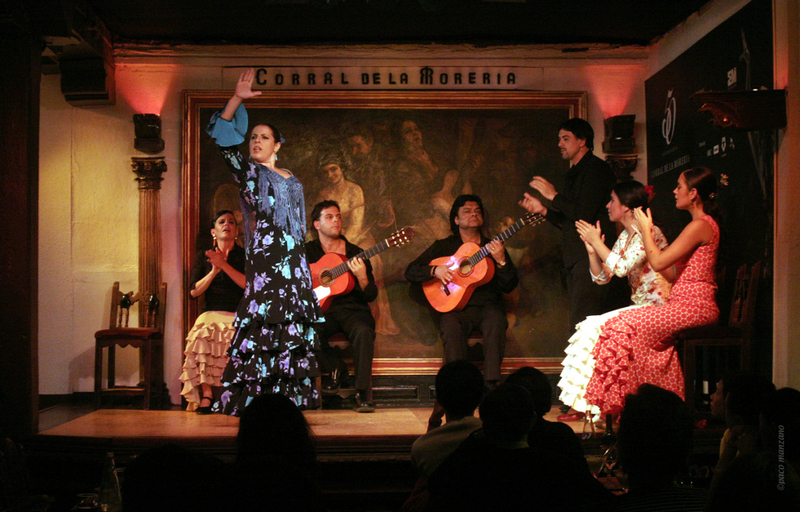 If you are looking for the authentic Flamenco experience, Corral de la Moreria is a great find, top Spanish artists are totally enthralling and the experience is accompanied by signature Spanish dishes and fabulous wines. A truly unforgettable experience and open 7 days a week, so an awesome option for a truly memorable Sunday evening. Luis Arevalo opened the doors to Kena in 2014 and hasn’t looked back since. He has created an utterly superb fusion of Japanese and Peruvian cuisine with a touch of Spanish and is top on the list of Nikkei restaurants in the country. There is a great vibe here, so if you are seeking an alternative, maybe slightly lighter Sunday lunch option, Kena in the pretty “Barrio de Salamanca” area is well worth a visit. Terrific Pisco Sour too! 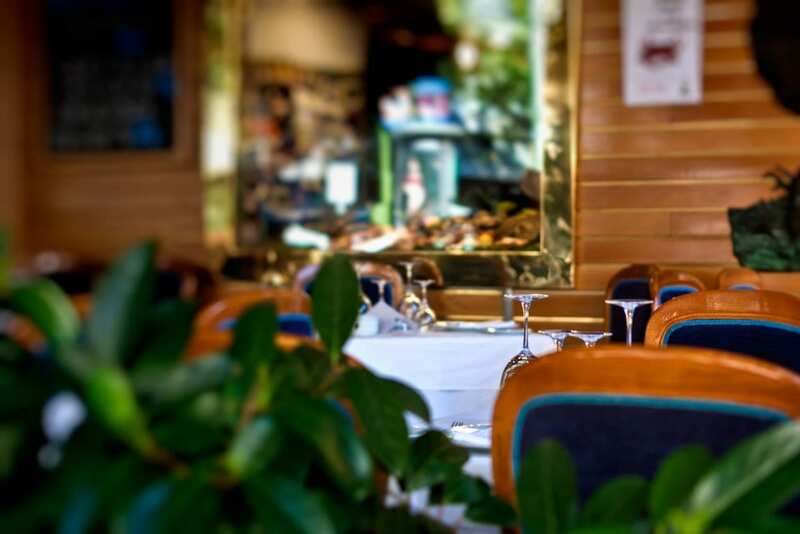 For top-notch seafood and fish, we recommend this Galician style restaurant in Chamartin. In true “Gallego” style there are no fancy frills, just the finest raw materials, perfectly prepared. Favorites include the grouper with clams, lobster salad and the monkfish stuffed with crab. All can be washed down with a fine wine from their handsome selection. If you are in central Madrid and looking for traditional, authentic Spanish dishes Gastrovia 61 is a great option. It’s located within the Hotel Mayorazgo, not far from Gran Via and Plaza de España. Open 7 days a week for lunch and dinner, the décor is quirky and there is a good relaxed atmosphere. You can dig into the likes of Iberian Pork ribs, Grilled octopus with pomegranate and look out for the “Cocido Madrileño” (typical chickpea-based stew with meat and vegetables) on the specials board. A meal here is like taking a trip back in time. Lhardy was founded in 1839 and its décor hasn’t changed much since then, but this totally adds to the experience. 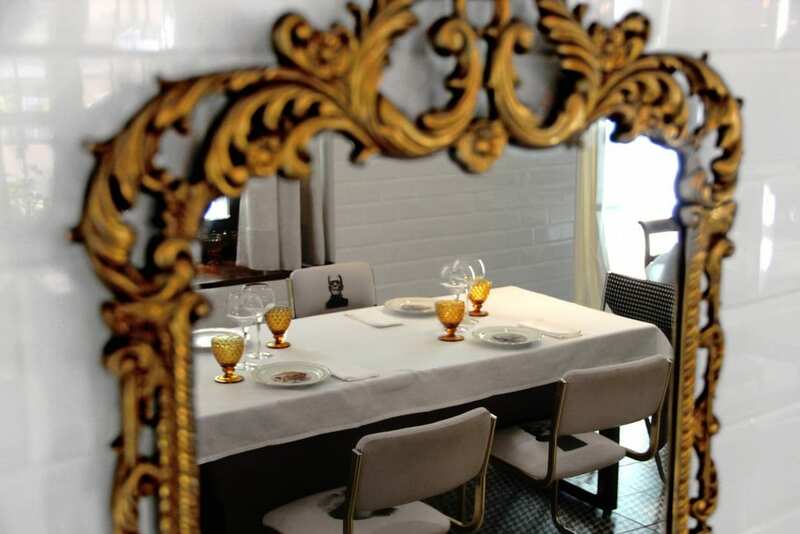 It is considered to be the first restaurant that brought Haut cuisine to Madrid and therefore boasts a very long list of high society and politicians who have dined here. The menu remains fairly French, although typical Madrileño dishes do feature. This fun dynamic restaurant-bar come Jazz club is literally like walking into the jungle when you go through the doors. Vibrantly decorated with rich colors, beautiful tapestries, plants, and more plants and even a stunning peacock perched on the bar. It is no surprise that in a matter of weeks from when it opened in 2016 it became “the place” to be and to be seen in the Capital. The gastronomic offering is an Asian /Mediterranean fusion with a touch of Brazilian created by the immensely successful partnership of Chef Sandro Silva and his wife Marta Seco. Amazonico is the fourth establishment by this couple and is open all day from noon 7 days a week as do their other restaurants Ten con Ten and Ultramarinos Quintin, the exception being El Paraguas with closes on Sunday evenings. 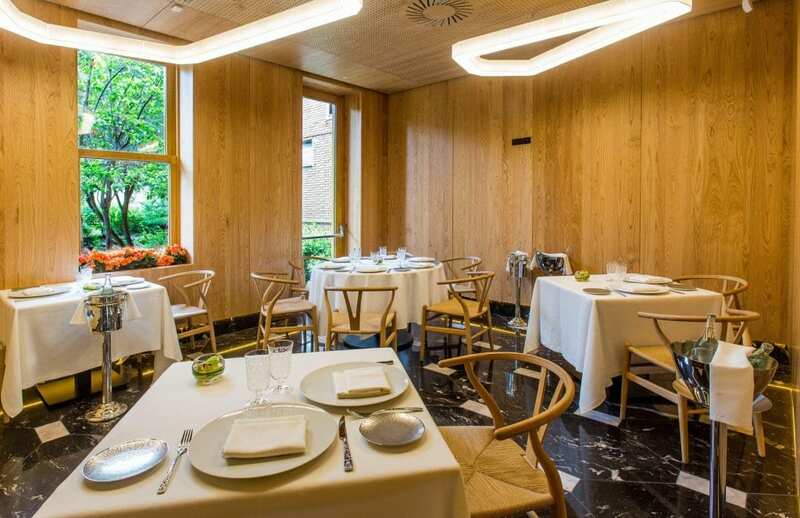 El Paraguas was the first restaurant for this pair and here they offer a fabulous example of Asturian cuisine with a modern touch, served in a beautiful, romantic dining room. Ten con Ten is both a bar and restaurant, the menu is also heavily Asturian inspired, but the concept is much more informal and fun than its sister restaurant El Paraguas. In Ten con Ten, you can enjoy a cocktail at the bar or even a lighter “tapas” style meal in the high table area. The truffle risotto comes highly recommended as do the duck rolls. They have a very good wine list and prepare great cocktails and gin & tonics. 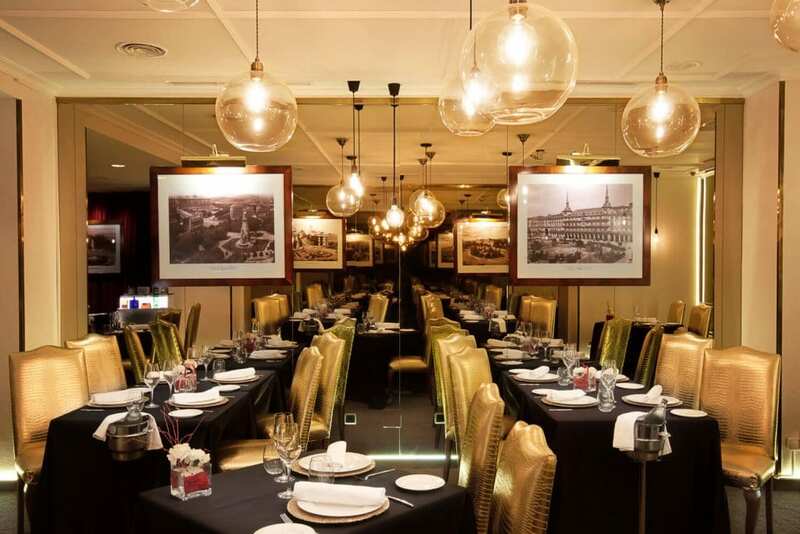 La Bomba is a French style Bistrot in the heart of Chamartin. It is beautifully decorated and has a gorgeous terrace away from the hustle and bustle of the street. Fabulous Mediterranean dishes, the paella is notoriously good as are the desserts, so make sure you save room! The wine list is interesting and includes a reasonable selection of Champagnes which can be hard to find in Madrid. The only snag, they only open for lunch on both Sunday and Monday. This place is great fun, “wild gastronomy” is their slogan, and you do need to come here prepared to be taken on a slightly savage sensual experience, but we are confident that you won’t be disappointed. It’s unusual and unique and thoroughly entertaining experience. 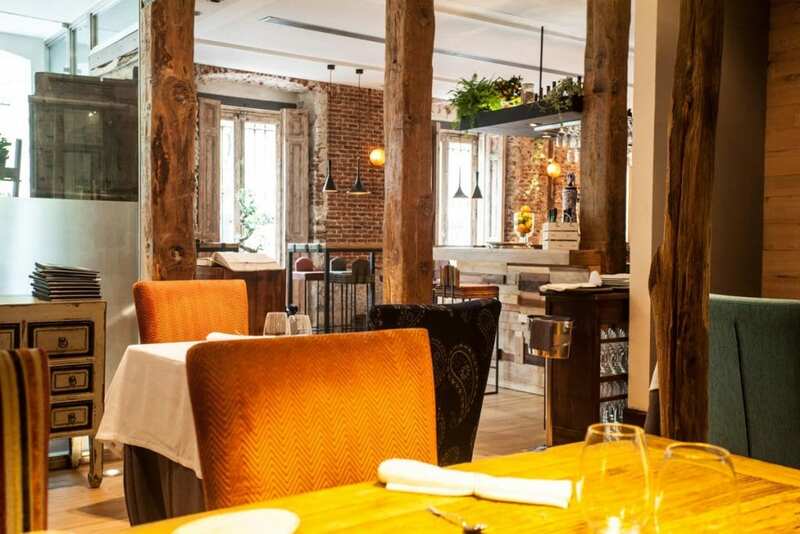 Atelier Belge is the little brother of the renowned Brasserie by the same name. If you are craving mussels or fancy authentic Belgian cuisine, this is a great option for Sunday lunch. Optimum raw materials beautifully prepared from scratch, they even smoke their own fish and meats. And for beer lovers, they have a great selection of Belgian beers. Another awesome example of fusion at its best; here Japanese, Peruvian and Asturian gastronomy meet and the result is deliciously inspiring. This is a great option if you fancy a lighter, more informal lunch which can be enjoyed at the bar or high table area or even in the main dining room. The wagyu nigiri with cream of Cabrales (Asturian blue cheese) are heavenly! 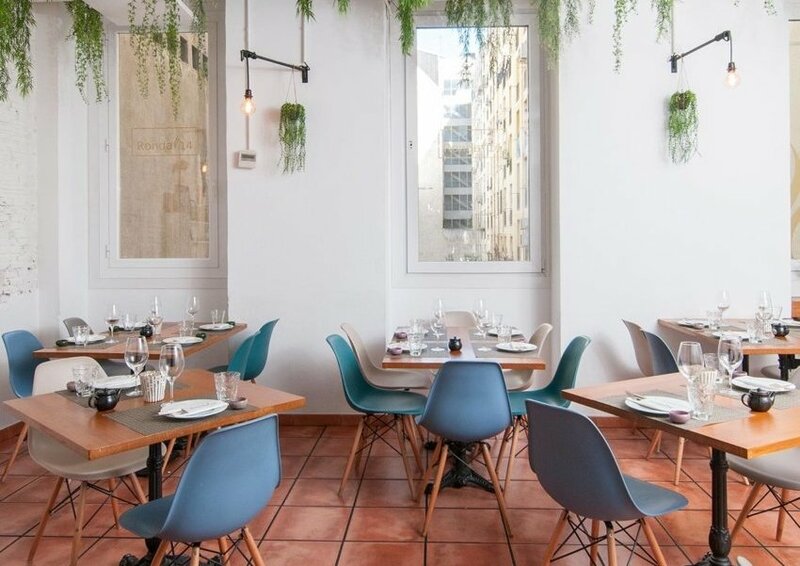 Predominantly Galician influenced, this elegantly decorated Gastro-bar in the central Cibeles area, is just a couple of blocks from the lovely Retiro Park, so an ideal choice for a hearty lunch followed by a digestive stroll. The hake just melts in your mouth and although their specialty is fish and seafood, their meat dishes are equally wonderful. A great opportunity to experience Galician cuisine with a touch of sophistication. DSTAge which stands for “Days to Smell Taste Amaze Grow & Enjoy” boasts two Michelin stars and although it closes both Saturday and Sunday can be enjoyed on Mondays for lunch or Dinner. The décor is industrial and fits perfectly in its trendy area, Chueca. There is no a la carte menu, just three tasting menus of either 12, 14 or 17 dishes for 90, 120 and 148 euros respectively. Booking is naturally a must! Lúa, as the name suggests, has Galician roots (meaning moon in Galician), however, Chef Manuel Dominguez creates an ever-evolving menu inspired by traditional recipes yet with an innovative spin that gained him a Michelin star. The simplicity is another luxury here, as there is just one tasting menu which changes fortnightly, so you only have to decide if you are accompanying it with the wine pairing or not! Traditional cuisine with a modern, creative touch. 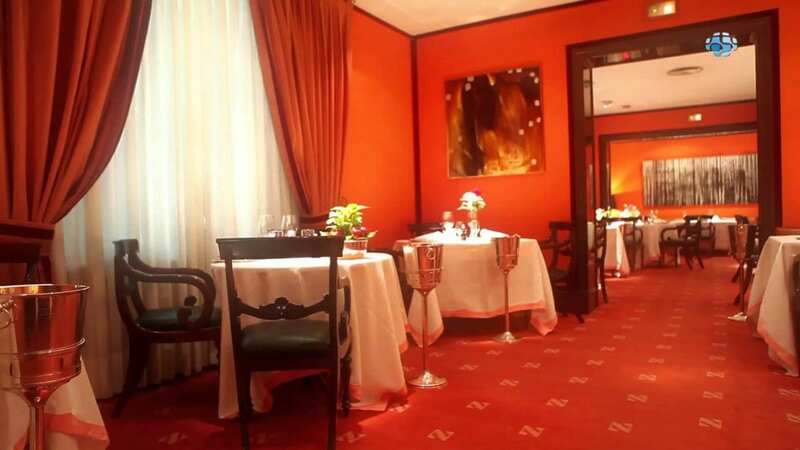 Santceloni is located in the basement of the Hesperia Hotel in the Castellana. If you are looking for a luxurious two Michelin star experience, with top-notch creations, but not too risqué, this is a great choice and the place itself is beautiful. There is an a la carte menu, but with so many fabulous creations to try the tasting menu is probably the best option. 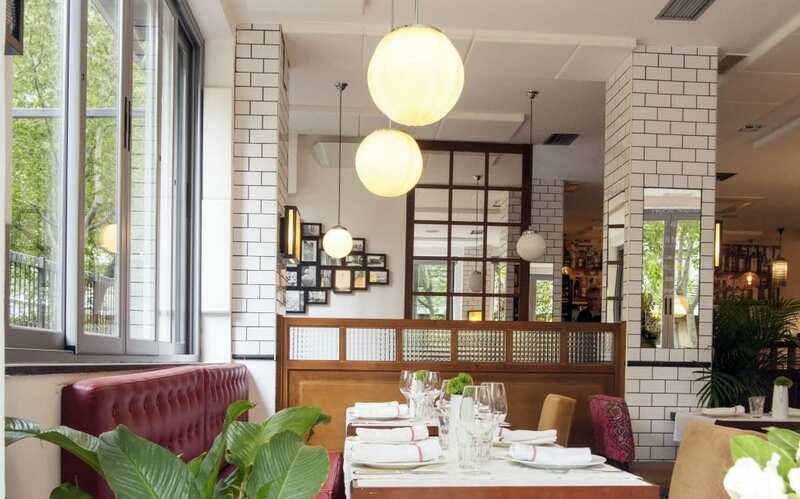 This gorgeous restaurant has a huge bar, from where you can see the chefs in action and alternatively if show cooking isn’t what you are after, the relaxed, peaceful dining area is as equally impressive. The wine cellar is immense with over 700 references from which to choose. Executive chef Juan Antonio Medina leads the team with the concept of “fun tradition”, creating elaborate and intriguing adaptations of traditional dishes. A truly luxurious and original experience. If hearty, traditional dishes are what you are seeking, you can’t go wrong with Zalacain. 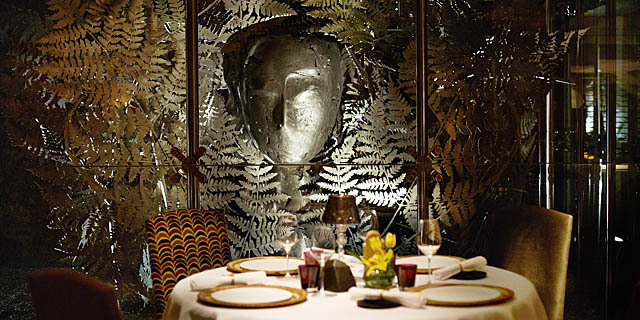 It is a classic in the Madrid high-end dining scene and was the first restaurant to receive 3 Michelin stars. 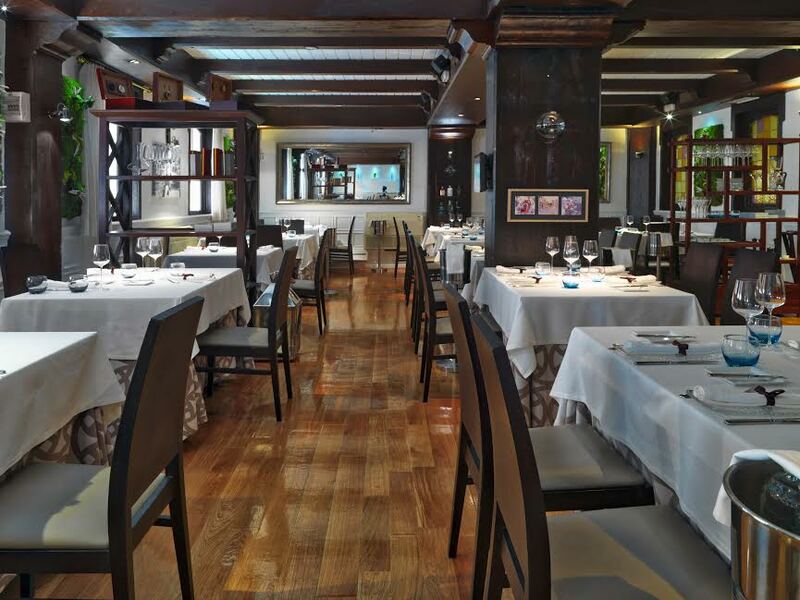 Although it doesn’t currently hold those awards it continues to provide Madrid with five-star cuisine and service and has recently reopened its doors after a refurb.